The American Building was one of the first buildings constructed following the Great Baltimore Fire of 1904. The 14-story historic building was built for the Baltimore News-American newspaper, and served as its headquarters until the newspaper ceased operations in 1986. 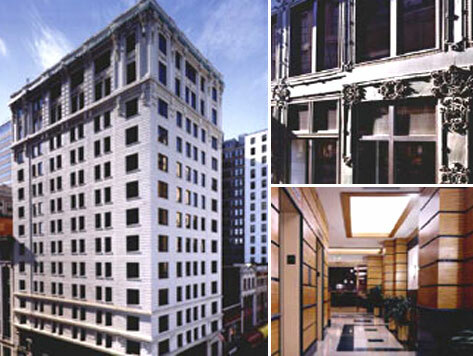 The American Building is now used as a commercial office building. The building is located just four blocks from the renowned Inner Harbor and its many popular restaurants, hotels, retail, and attractions including the National Aquarium, Oriole Park at Camden Yards, M&T Bank Stadium, and the Historic Ships in Baltimore.